Here is the support flyer. 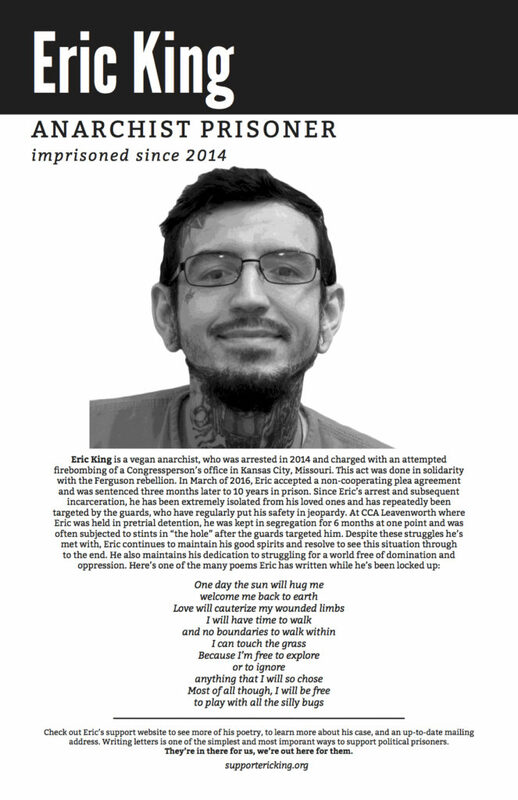 Please help us spread the word about Eric King by distributing these flyers at any political prisoner letter writing night you might be organizing or attending or wherever you think there might be a receptive crowd! Please check out the Certain Days: Freedom for Political Prisoners, calendar website,here. 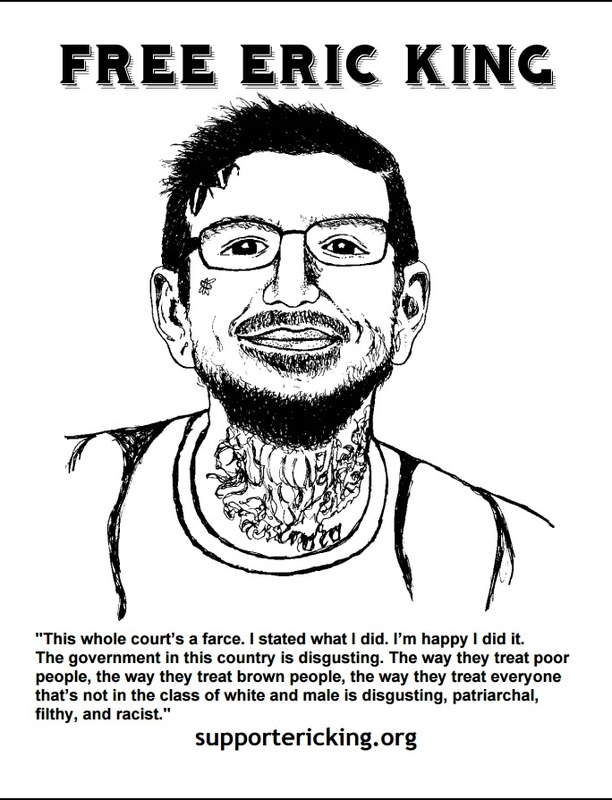 Certain Days has featured Eric Kings poetry and is a great project that works to support political prisoners and the movements they come from.